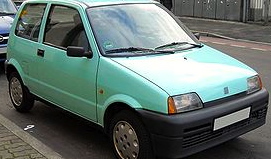 This famous little car, produced in Italy, has become a cult car, especially talked about in France. I fell in love with this little car when I was choosing a car for my character Natalie to drive through France and Spain. There’s a couple of amusing YouTube clips from top gear The second clip starts with the mini but ends with the Cinquecento. It shows a young Jeremy Clarkson. I think the following of this little car comes from the fact that it was fun and a challenge. Must watch these clips. This car has a character of its own in my book, and that was fun to create. Posted on August 24, 2015 June 5, 2016 by BrendaPosted in Marriage A Journey and A Dog, Romance and Humour, Uncategorized, Writing a novelTagged Fiat Cinquecento, Travel, Writing a novel. 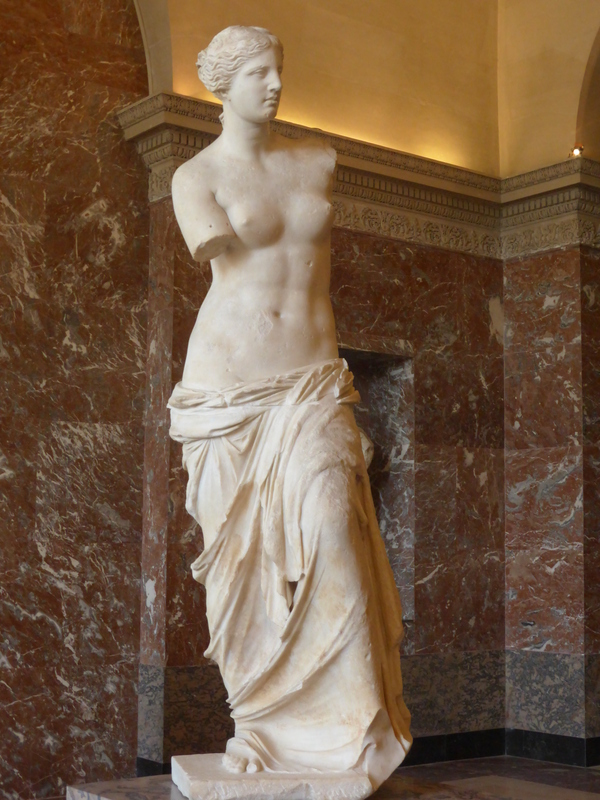 Look up Venus de Milo It’s fun if you haven’t seen this sculpture before and if you have it is worth a another visit. In fact Paris should be on everyone’s travel list always. I love Le Louvre, staring at this sculpture again and writing her into my book. If you would like to travel the journey of Natalie this is a great place to be. Natalie stared at this goddess of love and wanted her to touch her life. She did, but not in the way she expected. Marriage a Journey and a Dog is in the printing stage now and I will update this blog as soon as it is available. A new ebook will soon be on all ebook platforms. Strange how you write a book and wonder if it will sell. Now the orders are happening, I just want to know that readers enjoy it. Looking up the artistic places mentioned, traveling through France and Spain and oddly enough, wearing turquoise to reading clubs are adding to the fun of the reading experience. Posted on August 20, 2015 August 20, 2015 by BrendaPosted in Art Music and Writing, Front cover, Marriage A Journey and A Dog, TravelTagged Paris, Travel.